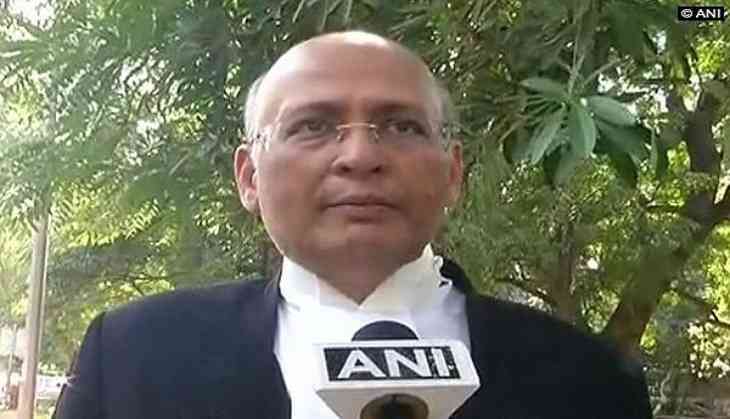 As the Delhi High Court gave its nod for an income tax probe of the National Herald case, Congress Party's lawyer Abhishek Manu Singhvi said on Friday that they would assess the officer's decision as per law. Singhvi said that the Young Indian Company has been given full liberty to object to the reopen of the case. "We will now await the assessing officer's decision in accordance with law and, in those proceedings, will be raising all the objections that we have raised today in the writ petition, that the IT department had absolutely no reason to believe in reopening the assessment," said Singhvi. He said all jurisdictional questions raised in the writ petition were kept alive and allowed to be raised by the party before the assessing officer. Earlier in the day, in a development bound to trouble the Gandhi family, the Delhi High Court gave its nod for an income tax probe in the in the National Herald matter. Earlier, the Patiala House Court had allowed the income tax authorities to investigate the Gandhis, which was challenged in the Delhi High Court. Bharatiya Janata Party (BJP) leader Subramanian Swamy had filed an application in 2012, accusing Congress chief Sonia Gandhi, her son Rahul and others associated with the Congress of conspiring to cheat in the case. In his complaint, Swamy had alleged that the Congress granted an interest-free loan of Rs. 90.25 crore to the Associated Journals Pvt. Ltd (AJL), the owner of the National Herald newspaper, established by Jawaharlal Nehru, which was either not repaid or repaid in case, which was in violation of Section 269T of the Income Tax Act, 1961. In August, the court issued notices to Sonia, Rahul and five others on Swamy's application seeking presentation of certain documents from AJL and Indian National Congress (INC) in connection with the National Herald case.